You are here: Home / General / Is social getting too big to be cool? Is social getting too big to be cool? For social sites, the graph points ever upwards. But will they always be cool enough to attract young users? It’s an exciting time in digital. As the giants of the internet jostle for pole position, it feels like we’re moving into some sort of endgame. Or, perhaps, the end of the beginning. Facebook is clearly aiming to own the whole digital experience. It wants to ‘be’ the internet for its users. And it’s cosying up to Microsoft to bolster its already formidable strength. Google is rightly alarmed that its neutral window on the world, so central for so long, is being made to look irrelevant. But its me-too attempt to socialify itself is, in my view, completely misguided. Meanwhile, revenue-poor Twitter seems to lack any clear goal, adding more and more ‘stuff’ that fails to enhance the core offer, and arguably obscures it. Each time a feature is added, I wonder what new users make of its convoluted, kitchen-sink UI. In their different ways, all the big players are trying to cover more bases through horizontal development. Each wants to build a ‘walled garden’ that offers users everything they need, and that means augmenting the offer to make it more comprehensive. Even without that strategic imperative, the logic of shareholder value would still be pushing these firms to grow, whether organically, by gaining users and revenue, or inorganically, through acquisition. And if it makes financial sense for one fish to swallow another, you can bet that deal will go ahead. For investors, less isn’t more. More is more. Some voices are now beginning to question the dominance of the big sites and the potential for big data to undermine personal privacy. But neither liberal hand-wringing nor reactionary frothing stopped the spread of rock ‘n’ roll, video games or any other ‘threat to society’ we’ve seen over the decades. Popularity wins, whatever the misgivings on the margins. The question, though, is how long that popularity will last. If the history of computing and the internet has taught us anything, it’s that things change. Digital players rise fast, but fall faster, swept along, or away, by an explosive cocktail of innovation and popular taste. We all know the familiar names: Netscape, Myspace, Digg. Sites that looked like they’d be everyone’s favourite dish, but turned out to be a flash in the pan. The iPod was once defined by its thumbwheel, before touchscreens took over the world. Sony seemed to know what everyone wanted from games until Nintendo and smartphones crashed the party with an avalanche of lo-fi casual entertainment. 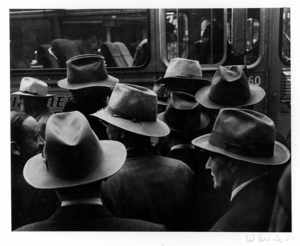 As I noted in a previous article, all men wore hats until the 1960s. But once JFK took his off, the world followed. One-off influencers can create tipping points that turn a sell-out show into a rush for the exit. Could the trend turn against Facebook, or Google? I think it could, if they become too large and pervasive to be cool. Like tobacco companies, their survival depends on addicting new generations to the product as they come of age. But they may find that harder from a position of dominance. Facebook wants to be the digital air that people breathe: a medium for interaction and information that’s taken so competely for granted, it’s practically transparent. But when everyone is doing something, it isn’t cool. Once you become the only option, people have no reason to love you, and more reason to hate you. Even the very largest brands need some dimension of choice through which people can express their identity, even if only in the most nominal, tokenistic way: Nike vs Adidas, McDonald’s vs Burger King, iOS vs Android, Facebook vs Twitter. Without that element of selection, you’re just the establishment – like the BBC before commercial broadcasting. As a digital firm puts down roots, it opens the field open for new, hungry startups to fill the coolness gap. And the older, larger and more established you are, the harder it is to turn the battleship round and come up with a timely response to a fleet-footed challenger. All you have is the sledgehammer of acquisition – which is exactly what happened with Instagram. Facebook’s got the cash to let startups innovate and just buy the cream of the crop. But as the petulant hipster outcry over Instagram shows, there’s one asset that never makes it across to your balance sheet: coolness. The problem for the big social sites might be that the logic of capitalism pushes them towards corporate conglomeration at the expense of their core appeal. 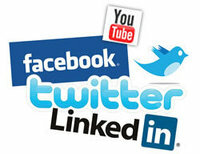 Rumours have circulated about who might buy Twitter for years, Google being the most recent candidate. If Twitter can’t make money, it’s a question of when, not if, and we’ll be one step closer to a monolithic but monumentally uncool online giant that’s too tall to see what people want at ground level. Interesting times!